The efficiency of a solar module is a way to rate the power density of a solar module. For example if you have a solar module that is 1 meter long by 1 meter wide and produces 1000 watts, this would be a 100% efficient solar module as all of the available sunlight (1000 watts per square meter (w/m2) is converted to electrical output. Length and Width is the size of the solar module in meters. In this step you are calculating the area of the module (meters squared). The 1000 W/M2 is the typical suns maximum output that is used when rating solar modules. Efficiency is important if you have limited space but please don’t make purchase decisions based solely on efficiency. I selected SolarWorld for this example because they have a clear design difference when compared to other modules. SolarWorld modules are slightly larger than a lot of the modules in the market place. 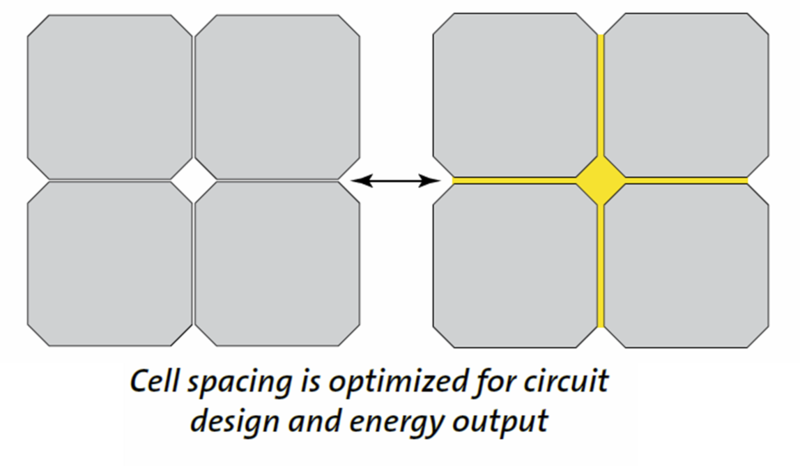 Most modules are slightly smaller size at approximately 1.651M (65 in) by 0.9906M (39 in) and if it had an equal 280 watt output the efficiency would be 17.1%. To give you some background on module design, UL test standards provide minimum requirements for how far the solar cells used in the modules can be from the frame of the solar module. Some manufacturers make modules that meet this minimum requirement to push their module efficiency higher. The problem with this is that the solar module frame will collect a small amount of dirt over time and will start to shade the solar cell and lowering its output performance. 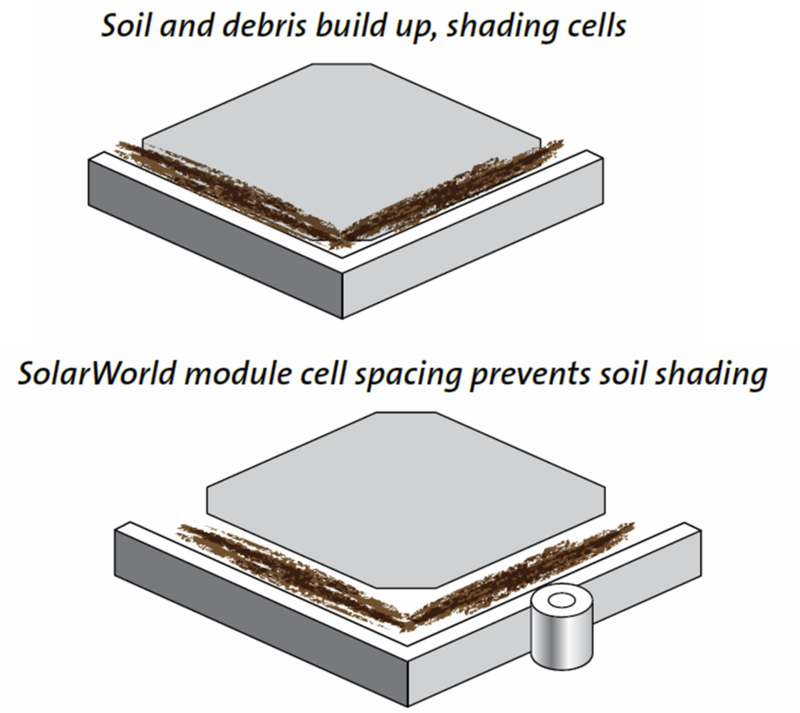 SolarWorld has purposely made their solar module slightly larger to allow for a larger space from the solar cell to the module frame. This larger space will prevent the dirt that collects from shading the solar cell and will increase the overall performance of the solar module. In this example, with the efficiency only being 0.4% different I would recommend looking at the design factors used in the construction of the solar module to make a purchase decision.